1. Colonial Action: Foreign Legion vs Arabs (played in Christchurch, NZ December 28, 2007). A team of Archaeologists and Arab labourers, protected by a small contingent of Legionaires, discover an ancient treasure sacred to the local tribes. An uprising occurs and the tribes mass to attack the infidels, recover the relic, and disperse before foreign legion reinforcements can arrive. Stu and I led the Tribesmen to a near-run success, overpowering the foreign thieves (led by Brad and Jeff), recovering the relic, and scarpering as bullets whizzed all around the heels of our few survivors. 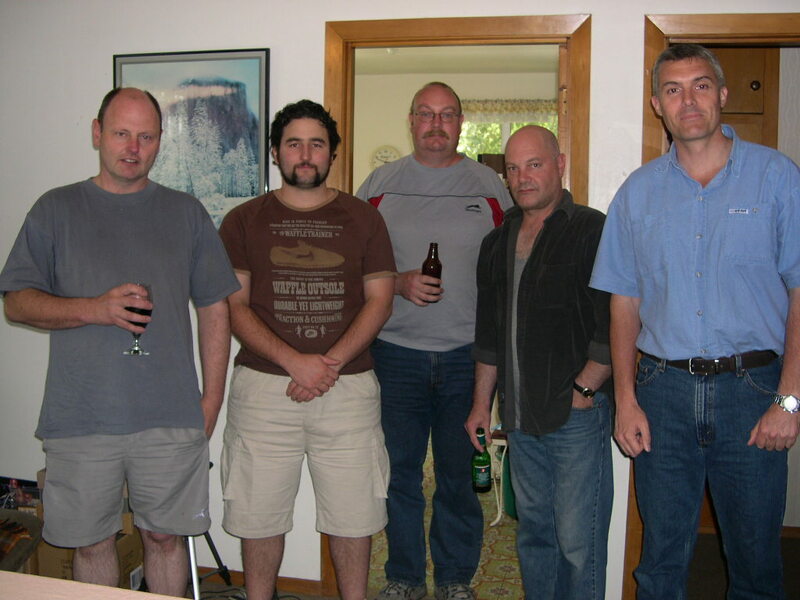 L to R: Jeff, Brad, Stu, Sibby (our Umpire), and Yours Truly. 2. 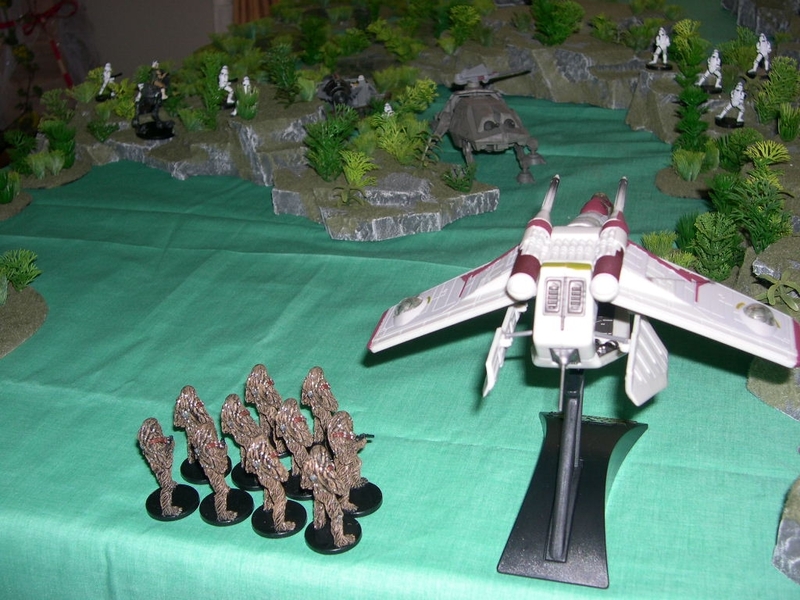 Star Wars Action: Separatist Droid Army vs Republican Clone Army with Wookie Allies (played in Tokyo, Japan, February 10, 2008). 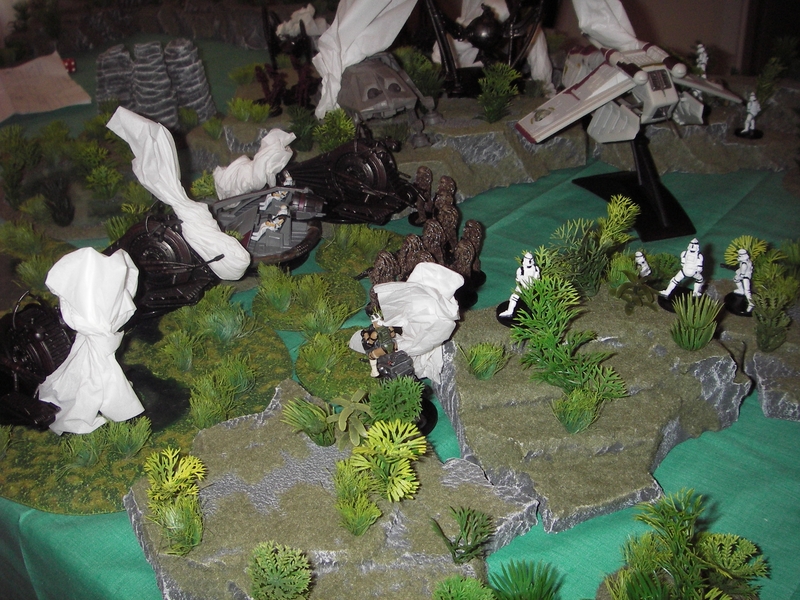 Here are some pics of a battle I fought today with my 7 year old daughter loosely based on the Kashyyyk campaign. More pics to come. We used a simple set of rules I developed tailored to the attention span of my daughter, and my available time :-). It was short and bloody, but fun. My daughter led the Republican defenders comprising 10 Clone Troopers, one AT-RT, one AT-TE, one ISP Speeder plus a Gunship and a contingent of 10 Wookies. I led the Separatist attackers comprising 20 Battle Droids, three Tank Droids, two Homing Spider Droids, two Dwarf Spider Droids, and a Hailfire Droid. 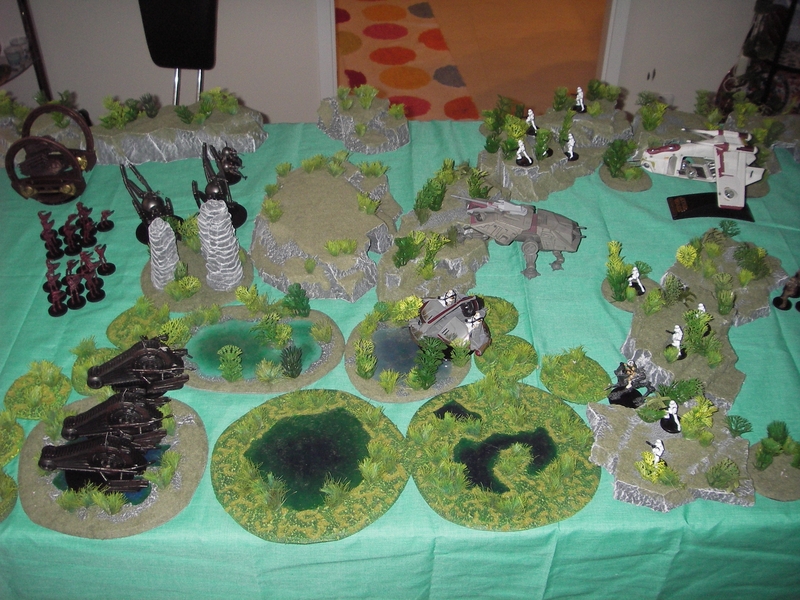 I subsequently re-fought the game with my wife, whereupon I led the defenders on the second occasion. In both cases the Separatists were successful (by a narrow margin) using their additional numbers/firepower to overcome the defenders and forcing them to retire once they had lost 75% casualties. 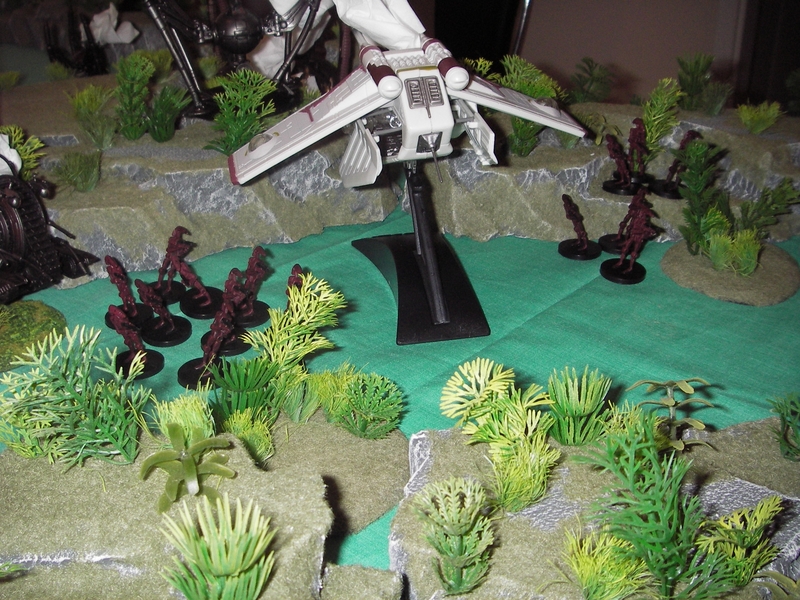 Figures and AFVs are primarily WOTC, with the exception of the Galoob Gunship and AT-TE. 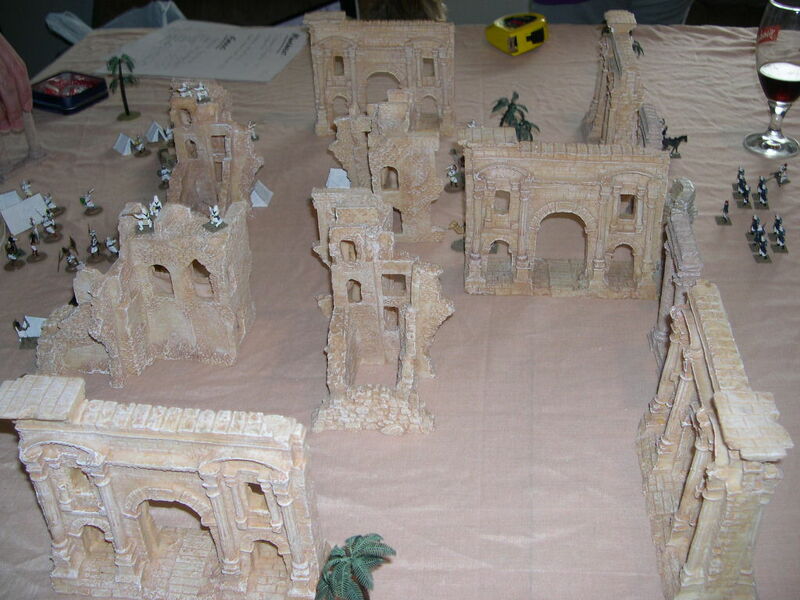 Terrain is by Rick Reinking who trades under "enjar" on eBay. Terrain cloth is a bed sheet from the Don Quixote store in Roppongi, Tokyo where we currently reside :-). 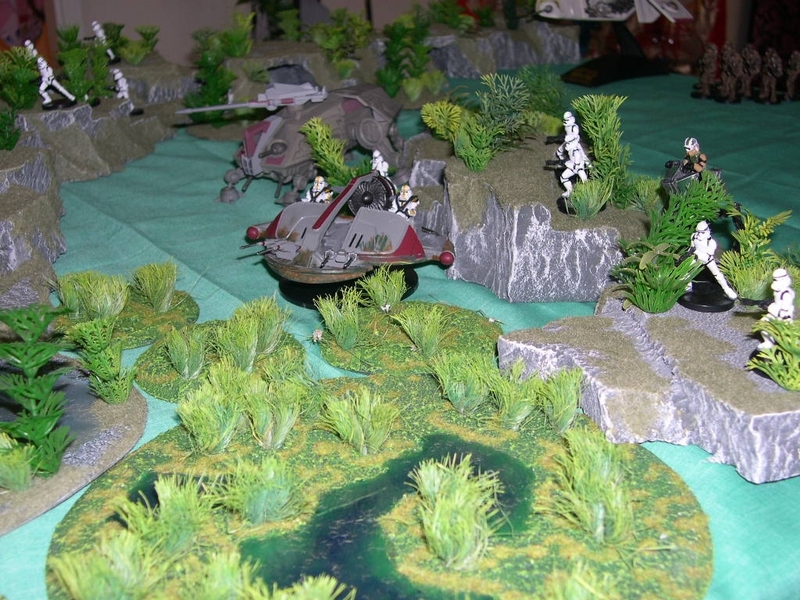 Republican Clone troopers defend a ridgeline somewhere on Kashyyyk. 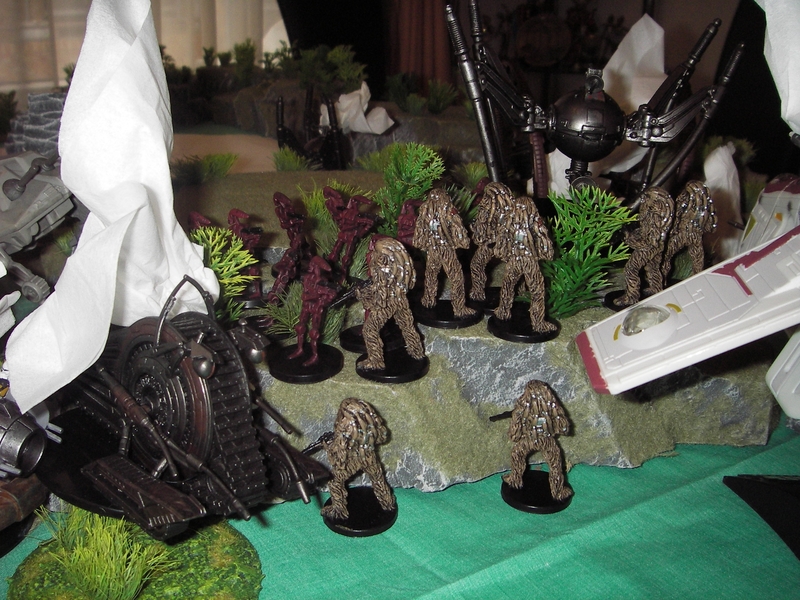 Republican reinforcements arrive in the form of a Gunship and a contingent of Wookies. 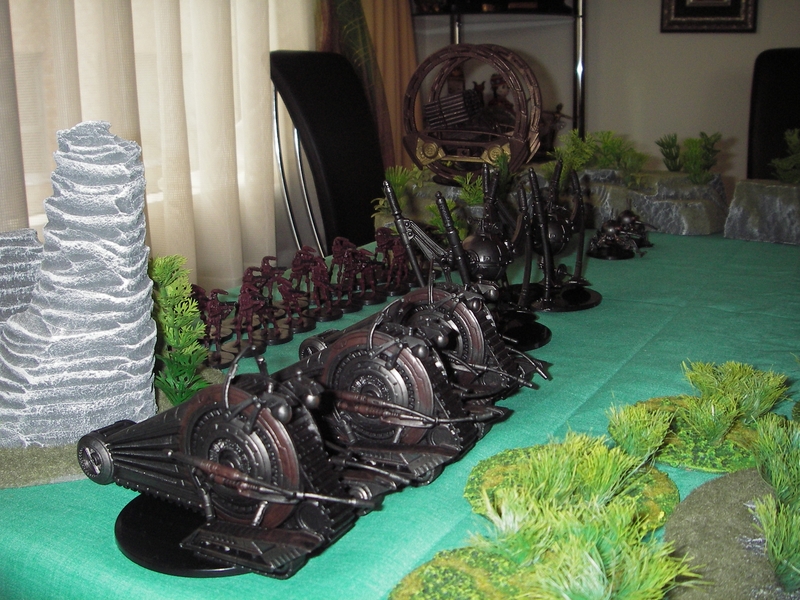 The Separatist Droid Army assembles prior to the attack. 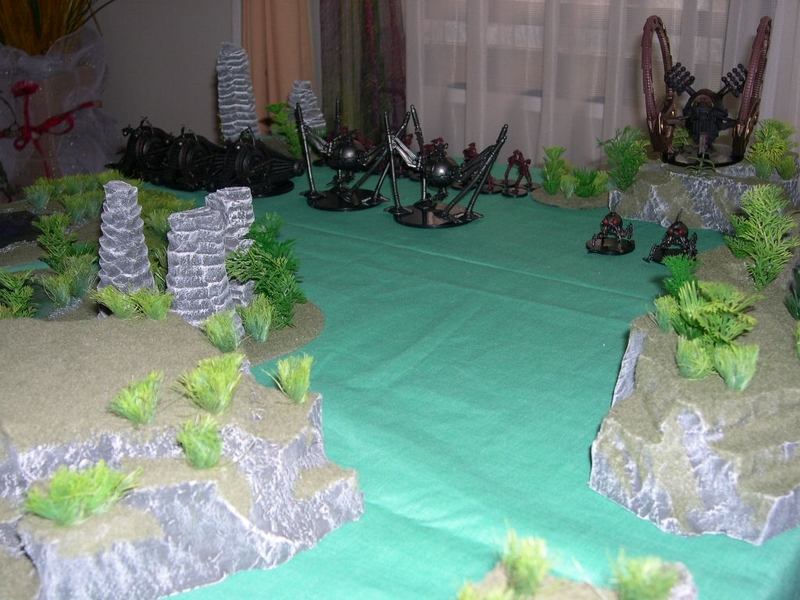 Close-up of the Droid battle lines. 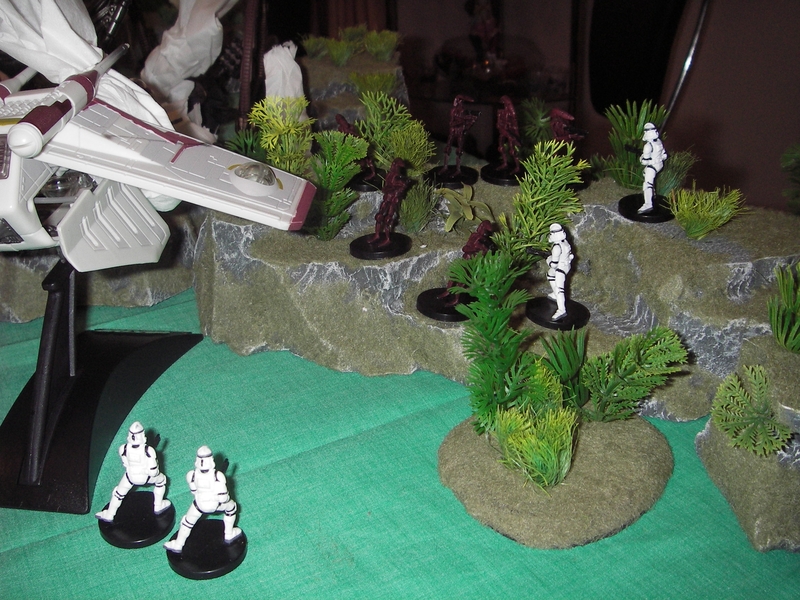 The Droids advance and the Clones counter. 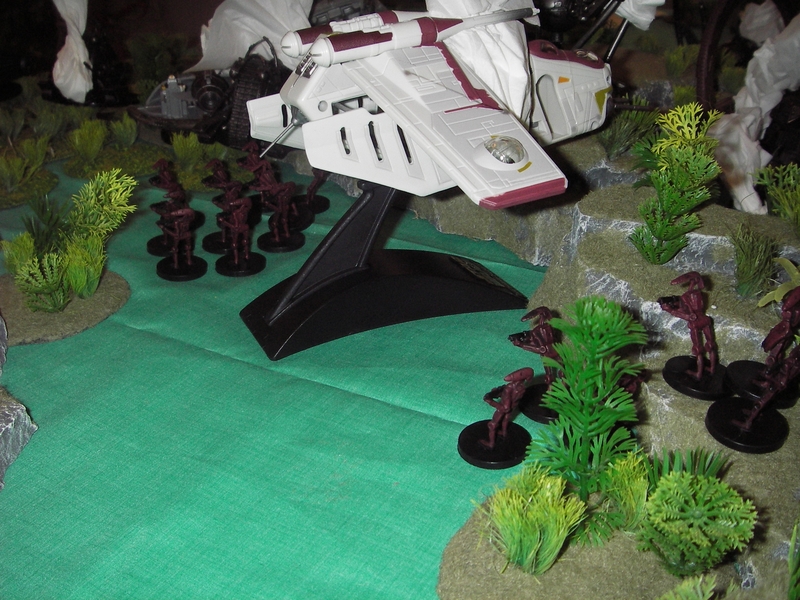 The ISP speeder moves forward to counter the tank droids. 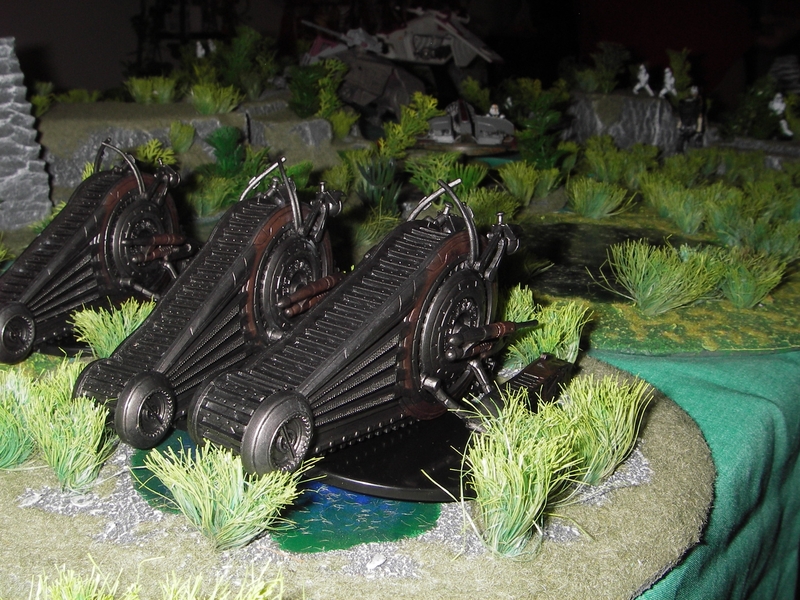 Heavy Metal: The Corporate Tank Droids use their aquatic capabilities to move over the swamp. 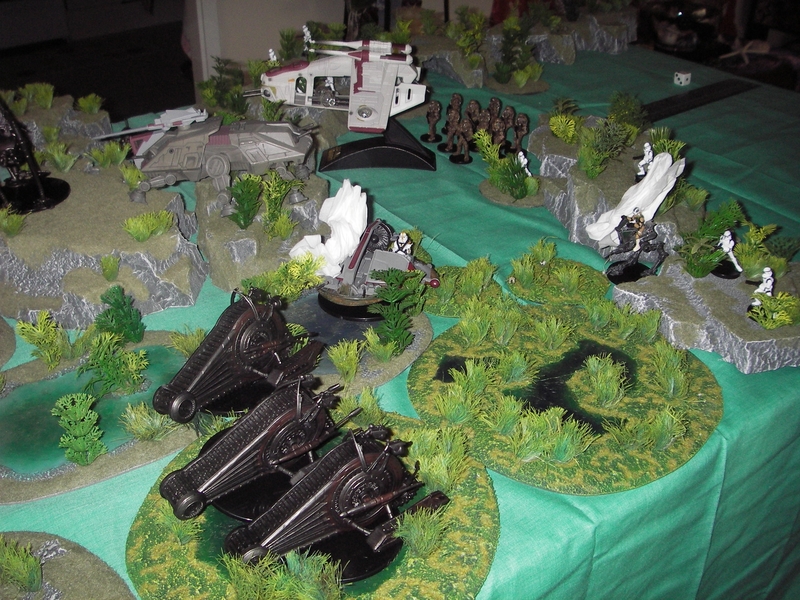 First round to the Droids: The ISP speeder and AT-RT knocked....with no Droid losses. 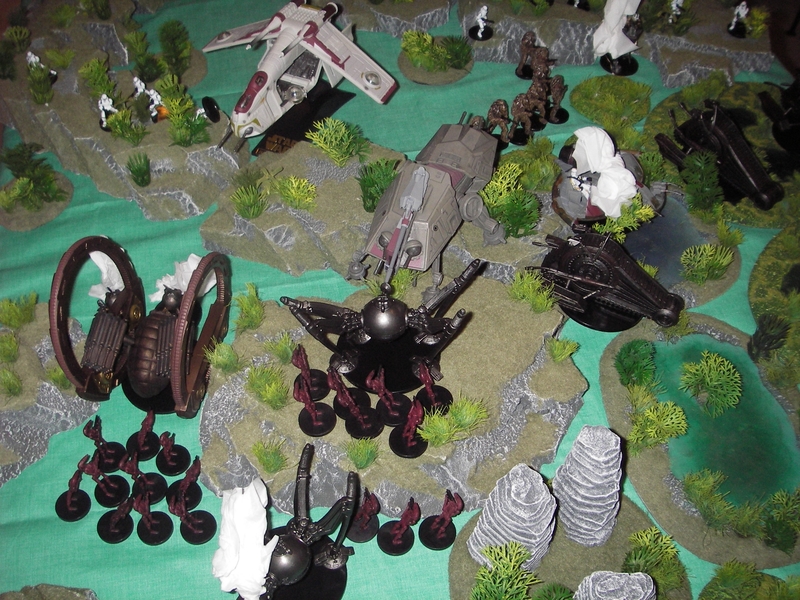 The Droid's advance on their left flank, losing one Homing Spider Droid in the process. 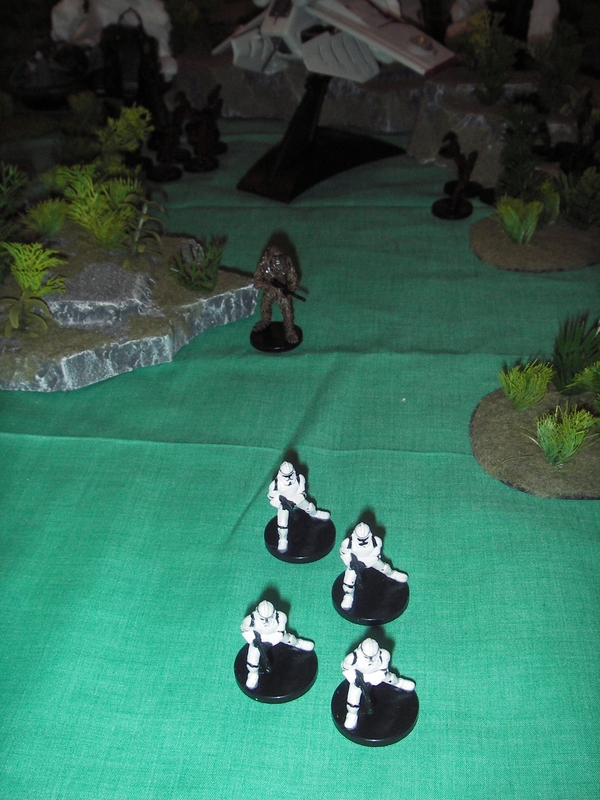 With all Clone Armour destroyed on their left flank, the Wookies courageously plug the hole. 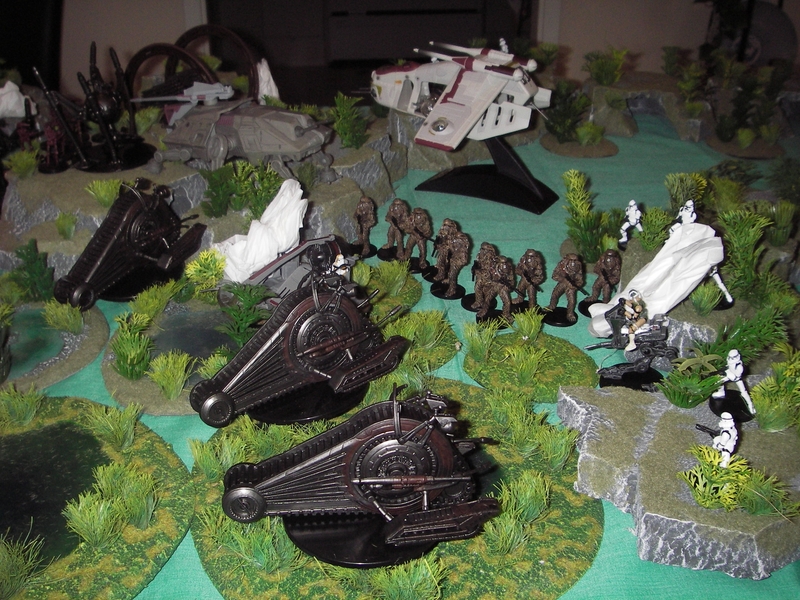 The Droids advance on their left, losing two spider droids, but taking the central high ground. The Clones are stretched at every point. Can they hold?? 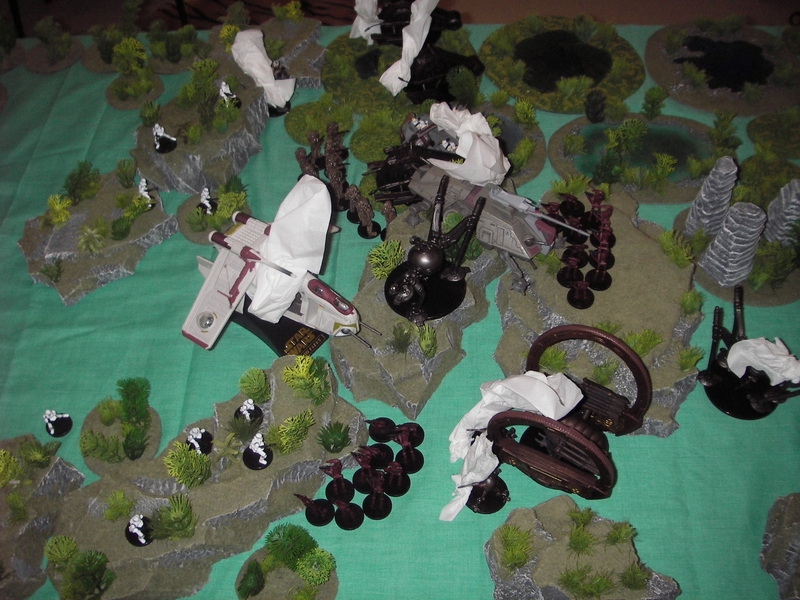 Disaster: Despite taking two Tank droids and a Hailfire droid, the Gunship and AT-TE are destroyed. 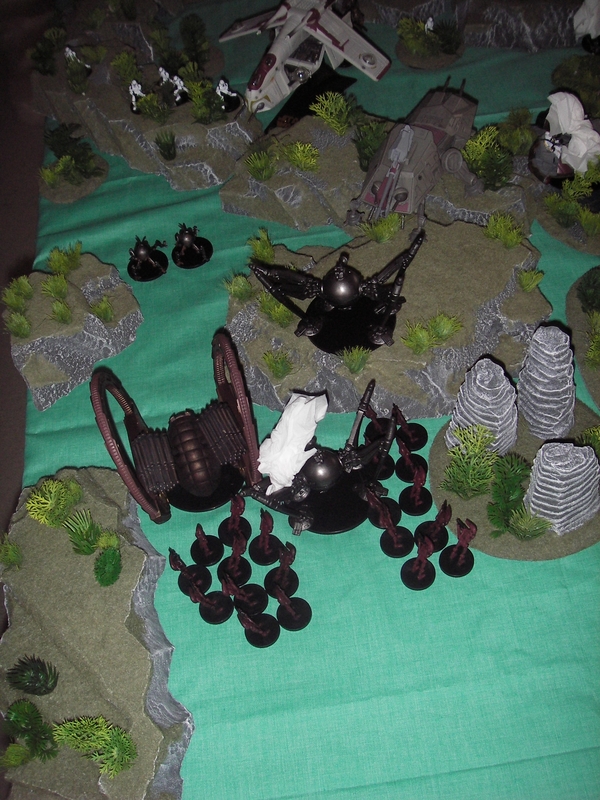 Having opened up the defences with their Heavy Armour, the Battle Droids now pour forth. 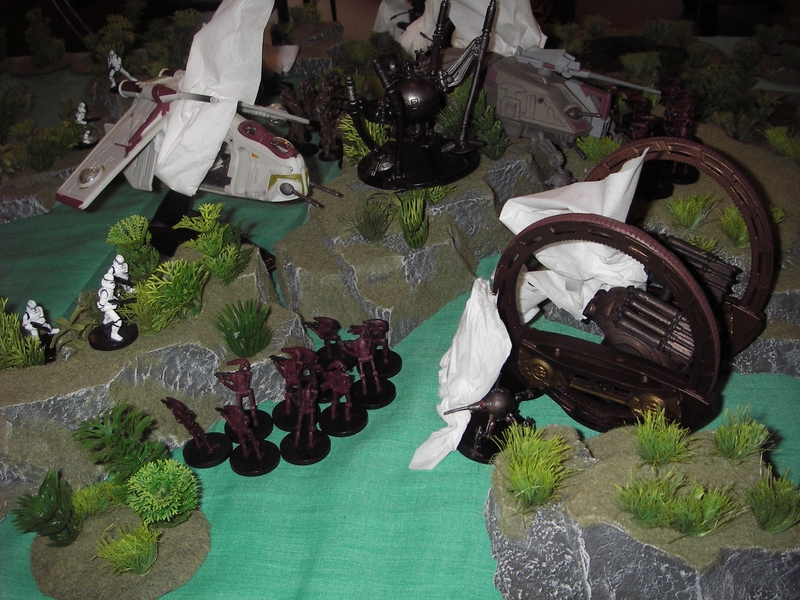 The right flank of the Clones collapses and Battle Droids pour forward. The Wookies now try to plug the hole in the centre. They destroy the Homing droid but are wiped out. The surviving Republican forces retreat. 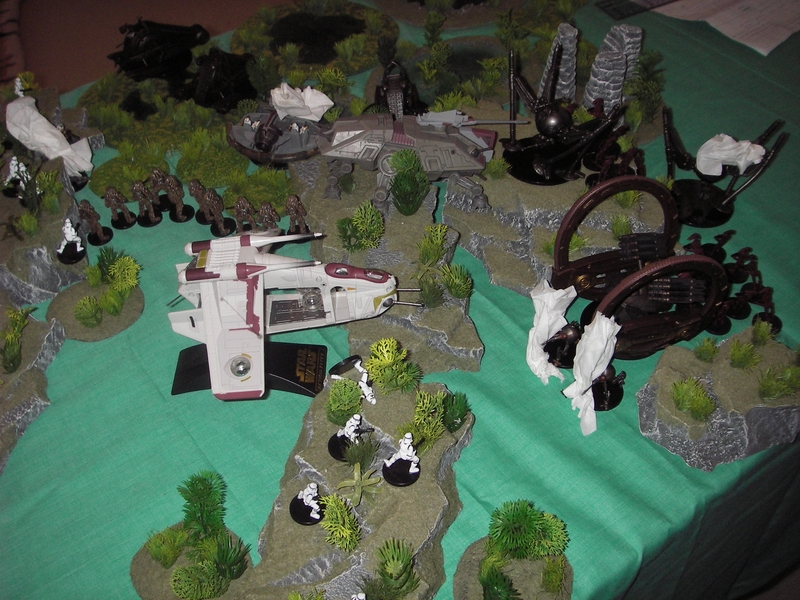 The Separatists have won this encounter...but the real War for Kashyyyk is about to commence!! !